When there's so much going on, how do you keep an eye on the clock? Well, Zoho Desk can do that for you. Your team's customer service efforts require so many tasks, that it can get hard to keep track of where exactly time is spent. With Insights from Zoho Desk, you can measure how much time is spent on every ticket based on selected departments, agents, and modules. Calls and events are also supported for activity-enabled portals. Zoho lets you configure time tracking separately for each department. 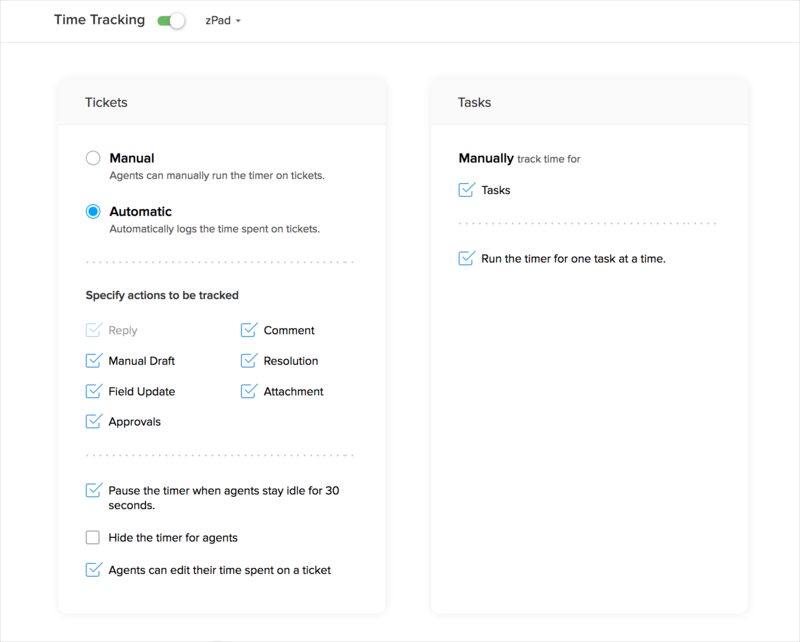 Your team can clock in working time manually for every ticket, or set it to automatically track the time they spend. 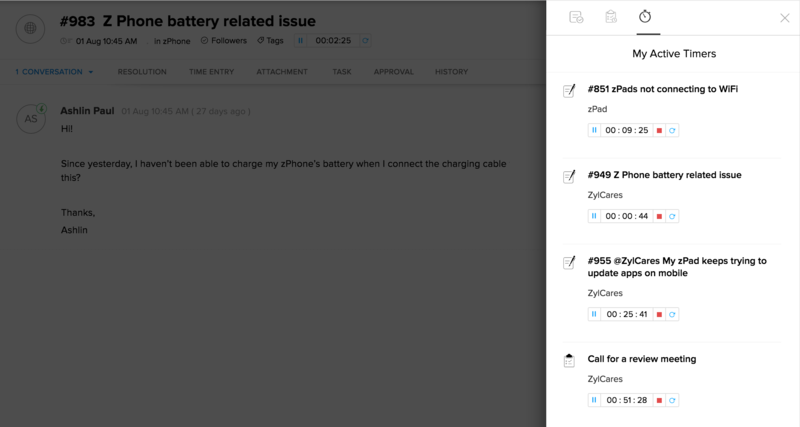 You can even choose which actions to track, such as sending a reply, drafting a response, or leaving a comment. Most tickets require follow-up actions, like scheduling a product demo or notifying the operations team about a recurring issue. Time Tracking on Zoho Desk allows you to track even the time spent on these follow-up tasks, thereby giving you a clear picture of your team's productivity. Zoho Desk also lets you apply your billing rate to each time entry. All you need to do is set hourly billing rates by agent, profile, or ticket. All the math is automatic. With Zoho Desk's integration with Zoho Books and Zoho Invoice, time entries can also be added to estimates and agents can create invoices right from the ticket. When you have a lot going on, paying attention to a timer is the last thing on your mind. That's why Zoho Desk has My Active Timers, a view that lists all of your active timers in the department. With this view, you can quickly plan what to finish and what to pause, among your current work items. With time tracking powering your reports and insights, you can monitor where exactly your time went, into what kinds of issues, which accounts, and with which customers. You can proactively tackle bottlenecks and manage your resources with Zoho Desk's built-in time tracking dashboards.